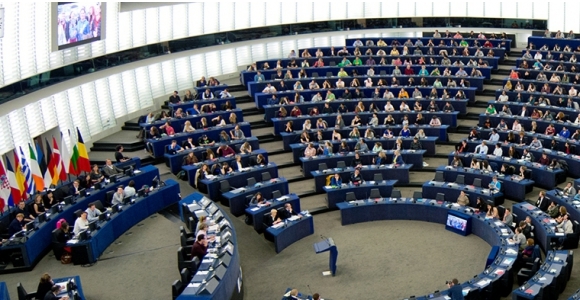 From 22-25 May, polls will be held in the 28 countries of the European Union (EU) for the election of a total of 751 members of the European Parliament (MEPs) directly by the 508 million EU citizens. Quite shorter than the just-completed elections in India, which lasted for several weeks, this is nonetheless a major democratic exercise, which should not be underestimated. For the first time ever, in addition to the candidates for MEPs, European voters have a chance to consider (although not vote for directly yet) candidates for the Presidency of the European Commission, the EU’s top executive position. These candidates have already been nominated by the various parties at EU level, adding to the campaign at least a touch of US Presidential election flair through their debates. It is the apex of democratic process and citizen participation in a Union which is going through a rather tough period in its history. Increasing dissatisfaction is evident among citizens across the Union with the “democratic deficit” at its center. “Brussels” is seen as a distant and soulless place where decisions are made in secretive ways and are then imposed on the member states and their peoples. The core European institutions are being criticized increasingly for lack of transparency and undemocratic decision-making, as for example expressed through strict austerity measures imposed on countries in financial difficulties, or the preoccupation with minutiae, like the size of fruits and vegetables. While features such as passport-less and customs-free travel, EU subsidies for agricultural products and major infrastructure projects have become part of the daily routine of Europeans, dissatisfaction and intolerance are on the rise. For example, the cheap labor moving into the EU’s North and West from the poorer countries of the East and the South is seen as unfair competition, and as a threat in terms of security and culture by some at the receiving end. Nationalism is also rising, along with centrifugal forces that advocate a curtailment of the powers of “Brussels” and a return to more national control, or even further decentralization of sovereignty in favor of smaller units, like Scotland or Catalonia. Sixty years of increasing post-World War II regional integration seem in danger of being folded back or unravelled with the rise of Eurosceptic nationalist parties in a context of stagnating or hardly growing economies, massive unemployment in the South, a high exchange rate for the euro and creeping deflation. Not all is dark and gloomy, though. There are a lot of achievements that should not be forgotten, despite the dominant pessimism at this juncture. On a continent that gave rise to the two world wars, war looks all but impossible nowadays, certainly among the EU member states. There are scarcely any border demarcations left, and the single market guarantees the free movement of goods, services, capital and people, and adds scale to individual efforts. The broadly shared, typically European model of social market economics seems to have achieved societies with fewer inequalities than most, near-universal health coverage, pension and social safety nets. The euro, adopted by 18 countries up to now, has greatly simplified cross-border transactions, keeps inflation low and is strong internationally. Even if some countries, especially in the European South, have high indebtedness problems, measures have been introduced to restructure their economies, repay their debts and stabilize the banking system. Respect for human rights and the rule of law is largely established across the Union, which is at the forefront of responsible planetary stewardship, with ambitious CO2 emission reduction commitments, among other environment-friendly actions. Is the glass half-full or half-empty, then? Does it make a real difference, or is it a matter of passing moods how one sees it? Indeed, what may be more important at this stage is that the glass, and the European integration project in this case, is somewhere half-way. The next steps are crucial about its movement upwards or downwards. And why should that matter, within Europe and beyond? Here are some reasons. Internally, within the EU: Europe may have a centuries-old tradition of civilizational achievements and artistic production, but it has also given rise to the two world wars and totalitarian ideologies like fascism and anti-Semitism. Signs that similar trends may be appearing again call for action in the direction of tolerance, respect of diversity, inclusiveness, openness and transparency. This can hardly be achieved at the individual national level, especially where the emphasis on an ideal national identity is likely to lead to the exclusion and dehumanization of the other.It is important to note that this may be happening partly because of too much progress on certain aspects of European integration, which ignore the needs of local people in favor of an impersonal central bureaucracy and big transnational companies, resulting in lower standards of living, unemployment and other pressures that can lead to increased human insecurity and hostile reactions. Europe in the world: As clearly shown with the crisis in Ukraine, “Europe” often disappears when it comes to major political issues of peace and security. A naïve insistence on expanding the European market space though an association agreement with Ukraine did not take into account the interests of Russia, and the pan-European interest in good relations with Russia. When the crisis erupted, “Europe” disintegrated into its constituent units, more vocally its bigger countries, which have no identical policies or interests at that level. Europe is not even united enough and able to be counted as a major player in international climate negotiations, despite the advanced commitments and efforts to encourage broader action, and despite providing the highest amounts of assistance to developing countries. “Europe” thus appears to be a giant with feet of clay , or a mirage of what could have been but is not. For regional integration beyond Europe: The European model has inspired other regional or sub-regional integration schemes, including in Africa, Southeast Asia and Latin America. The way it develops will definitely have an impact on all those, for better or worse. Enriching the system of global governance with a layer of successful regional integration projects is what will eventually make for a more balanced and manageable world. The biggest problem of European integration appears to be that open markets and borders, and lots of shared rules and regulations, have not led to the emergence of a single “European demos” among the peoples and their leaders. The Union’s internal politics is an endless intergovernmental horse-trading, without a pan-European vision and policy debate, no continental media and no common language, metaphorically and literally. The national elites seem to encourage this, as they prefer to continue being the big fish in their respective small ponds, negotiating with each other rather than joining into a bigger school of fish in “lake Europe”. European citizens going to vote in a few days’ time have some tough choices to make. They can encourage national and sub-national elites clamoring for less unity and renationalization in a language and with historical references that they feel comfortable with. Or they can push those elites and themselves to take a bold new step into the future, working together and clearly putting their trust in a rule-based, inclusive and tolerant, innovative and social, strong and confident Europe, that is a factor for stability, peace and prosperity for all of its members and the world.